This Endevour model sports a lightly textured titanium handle and an S35VN steel blade with a hand rubbed satin finish. 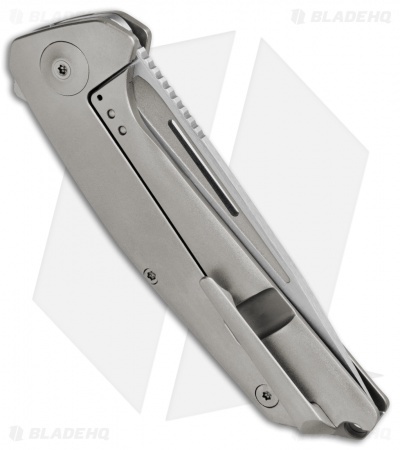 The Endevour is a stunning new folding knife offering from Liong Mah designs. It's characterized by flawless machining in the handle and blade with an attention to detail that only Liong can bring. 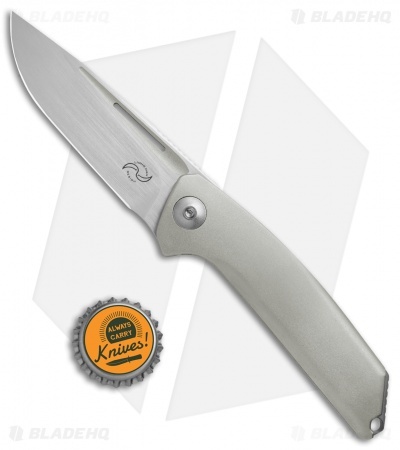 The low profile flipper opens the blade with authority and stays out of the way while in use. Each side of the handle is milled from a half inch billet of titanium, with integral milled pockets for reduced weight. The backspacer blends covertly into the handle design, with hidden hardware on the front side for a clean look. A milled titanium pocket clip rounds out the design. 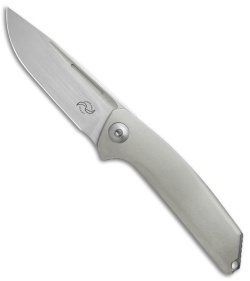 Low profile flipper provides rapid deployment while facilitating comfortable use and carry. Integrated backspacer offers a clean appearance with a lanyard hole and jimping for reverse grips. 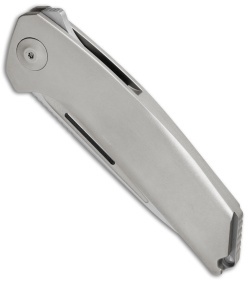 Titanium pocket clip has a milled ball tip that functions similar to the Begg Ball Clip.